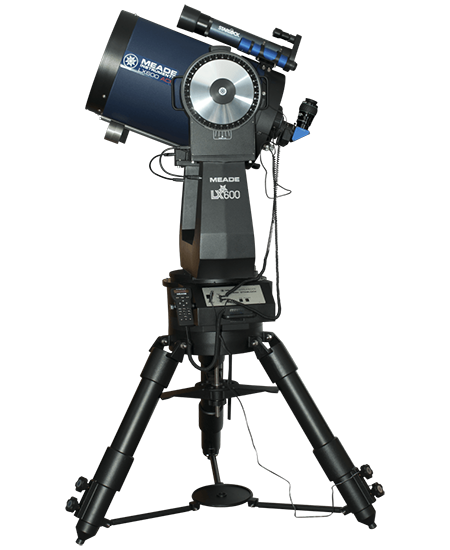 The Astro-Tech AT8RC is the first affordable 8" Ritchey-Chrétien with premium features available to the amateur astronomer who is into serious deep space imaging. 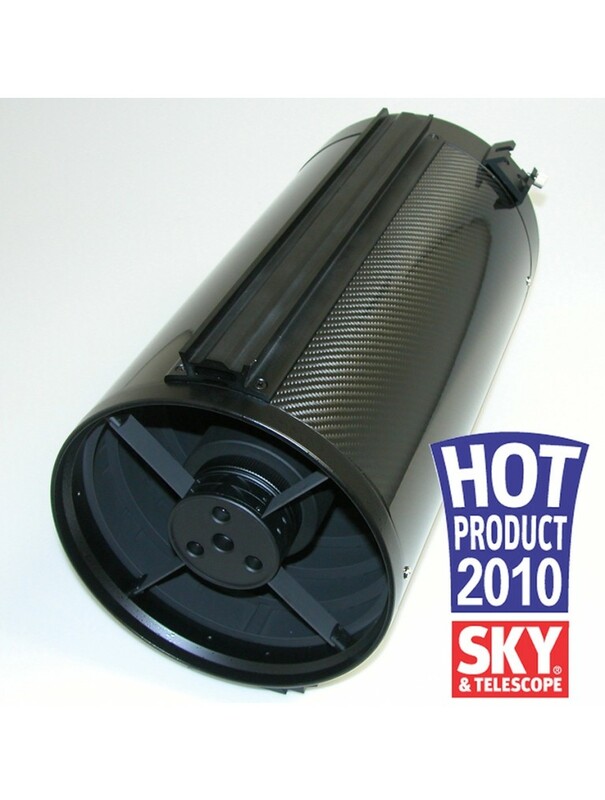 Sky & Telescope agrees, as they named the AT8RC a Sky & Telescope Hot Product for 2010. 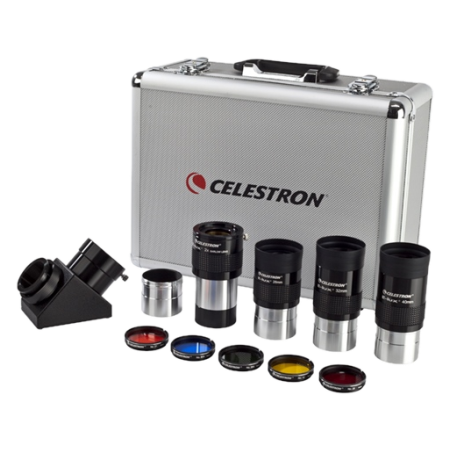 A review in the December 2009 Sky & Telescope said "it was how nicely this scope is matched to APS-C and 35mm formats that really wowed me." 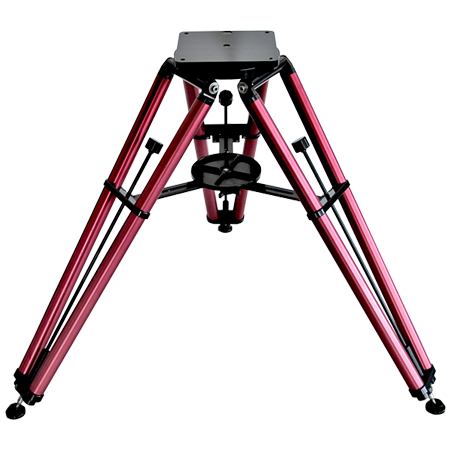 • two dovetail rails - one Vixen-style and one Losmandy-style "D-plate"
The AT8RC that Astro-Tech helped develop was the first sensibly-priced 8" true Ritchey-Chrétien astrograph available from a U. S. company. Sensibly-priced? Yes - but with premium features like a carbon fiber body, quartz mirrors, two dovetail mounting rails, and more that led Sky & Telescope magazine to name it a Hot Product for 2010, along with its larger 10" brother, the AT10RC. 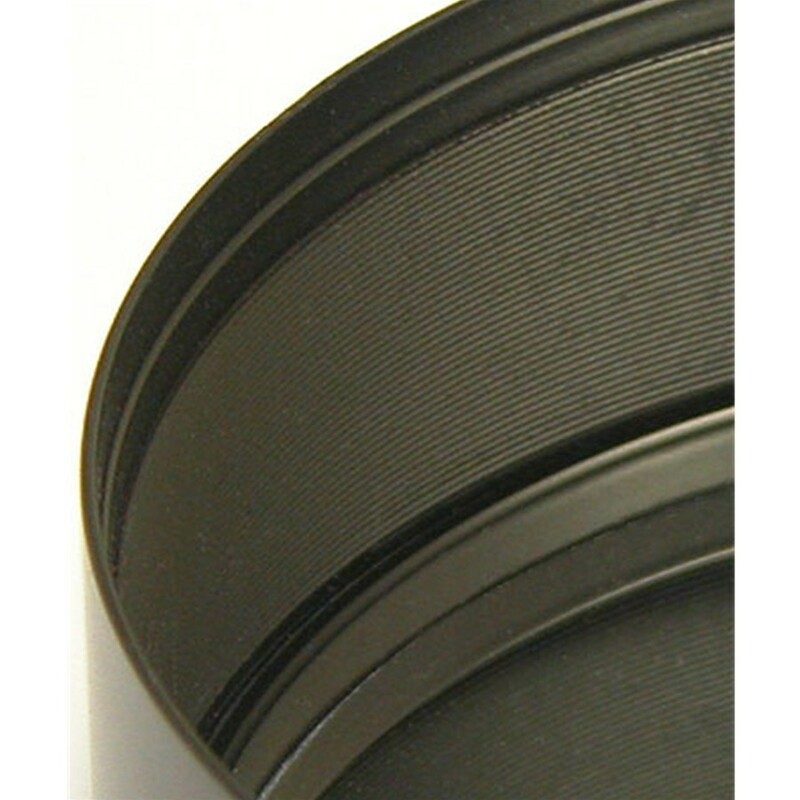 As Sky & Telescope pointed out in their Hot Product citation, "Ritchey-Chrétien reflectors are highly regarded among today's elite astrophotographers, and premium instruments often carry price tags starting at about $1,000 per inch of aperture. So it's the best kind of "sticker shock" to see the prices for Astro-Tech's 8- and 10-inch f/8 Ritchey-Chrétiens, which pack features too numerous to list here. Our review of the 8-inch scope appears in December 2009, and our initial hands-on look at the 10-inch suggests that it will be equally exciting for deep sky astrophotographers." Excerpts from the December Sky & Telescope review are quoted below. 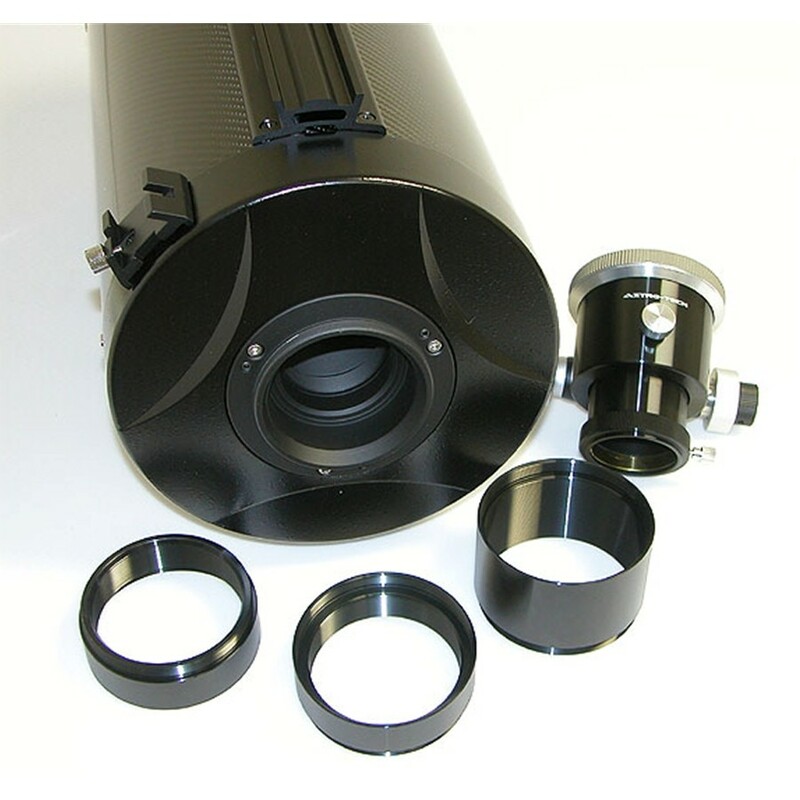 The Ritchey-Chrétien optical design is used in virtually every recent large mega-million dollar professional observatory telescope - including the Hubble Space Telescope. And more "affordable" true coma-free Ritchey-Chrétien optical systems made for schools and individuals by commercial R-C manufacturers typically come only in large apertures and often start at well over $1,000 per inch of aperture, as noted above by Sky & Telescope. Their size and cost put them out of the reach of most amateur astronomers. At least, true Ritchey-Chrétiens used to start at out-of-reach prices. 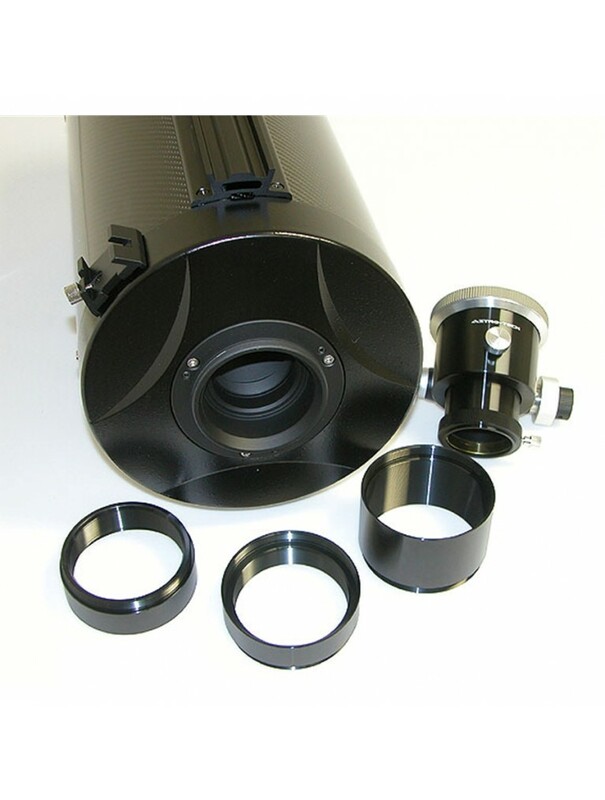 The Astro-Tech AT8RC astrograph (a telescope designed specifically for photographing comparatively wide areas of the sky) makes the coma-free imaging of true Ritchey-Chrétien imaging optics available to the DSLR and CCD astrophotographer at a price less than that of most CCD cameras. 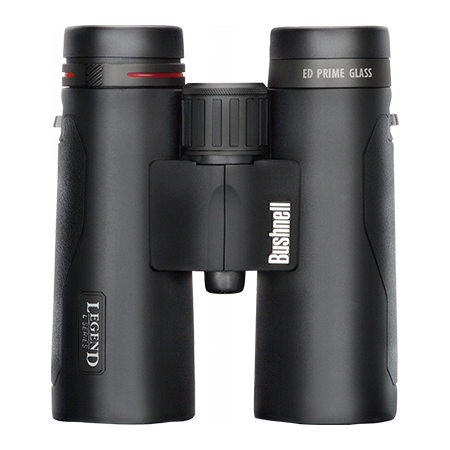 It is not designed for digiscoping through an eyepiece. Featuring premium low thermal expansion quartz mirrors rather than ordinary optical glass, and a high strength/low thermal expansion carbon fiber optical tube, this economical 8" Astro-Tech R-C makes you wonder just what those outrageously expensive R-Cs have that makes them cost so much. 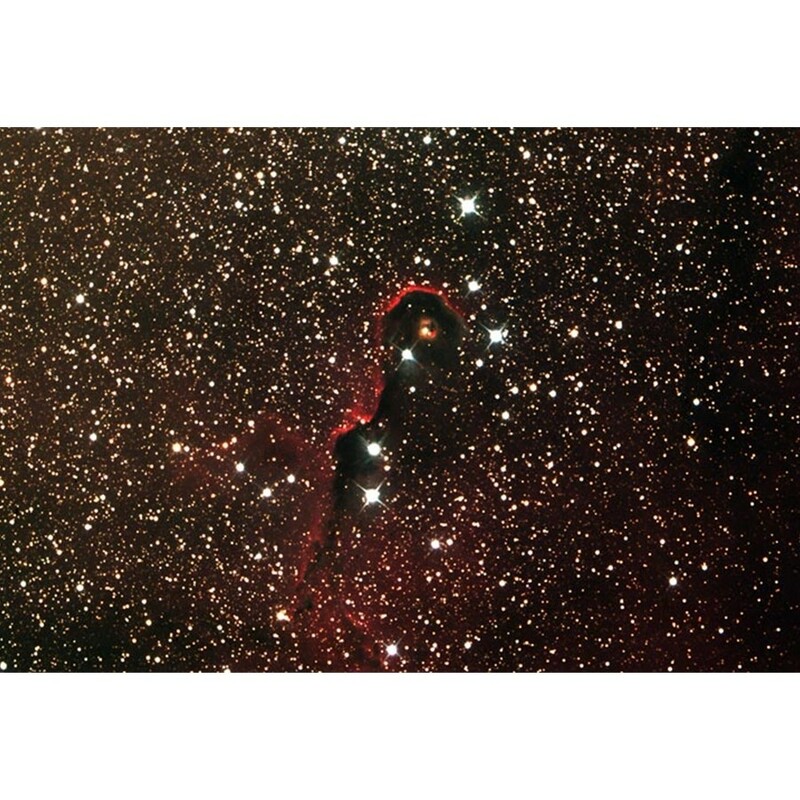 The December 2009 issue of Sky & Telescope said "during the 1970s, there was an explosive growth of the hobby of deep-sky astrophotography that parallels the growing popularity of 8-inch f/10 Schmidt-Cassegrain telescopes. These scopes delivered decent star images across a field about 3/4° in diameter with enough resolution to record detail in small star clusters, nebulae, and galaxies. 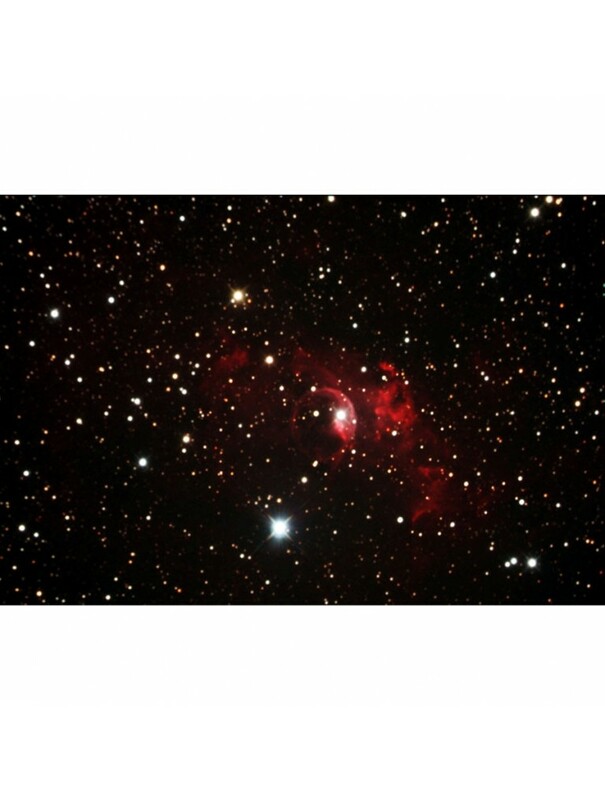 The AT8RC does that with even better star images, a larger field, and a slightly faster focal ratio. What's not to like?!" Designed for exceptional imaging, the Astro-Tech AT8RC provides the wide coma-free photographic field that DSLR and CCD astrophotographers crave, but can't get from conventional reflectors and Schmidt-Cassegrains. Likewise, as a pure two-mirror system, the AT8RC is totally free from the spurious color that affects the imaging of all but the most costly apochromatic refractors, and it does it with an 8" aperture that dwarfs the light gathering of most apo refractors. "The performance of the 8" surprised me," John continued. 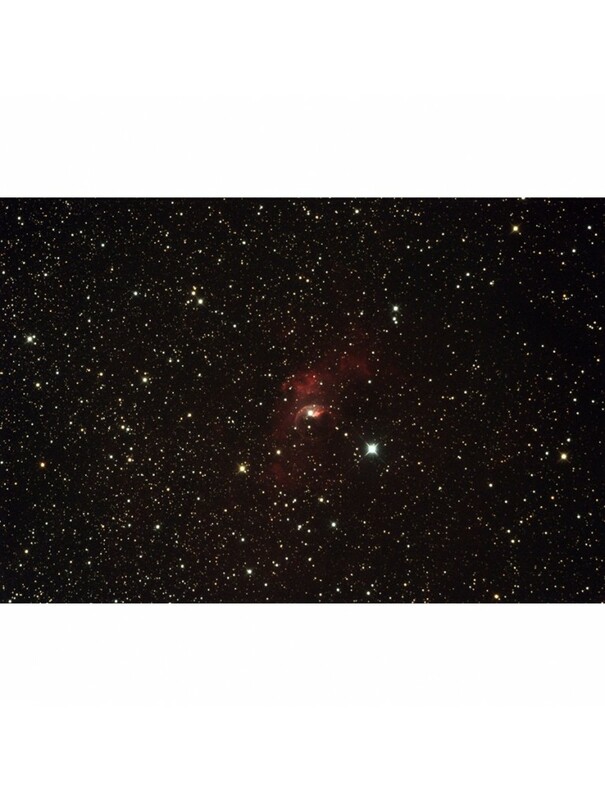 "I was able to get plenty of data using relatively short exposures of 400 sec x 4 through LRGB filters. Can't wait for the 12" RC to be produced." 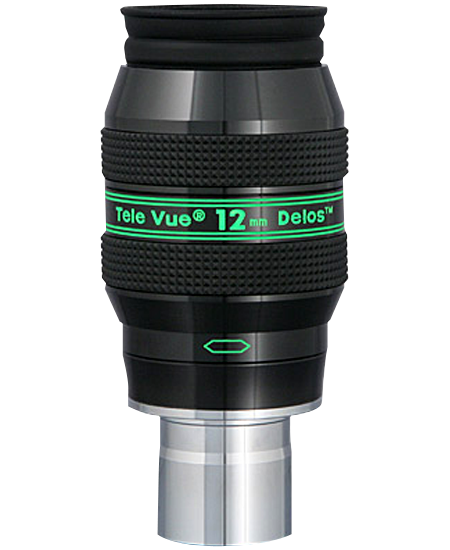 The December 2009 issue of Sky & Telescope said about the Astro-Tech AT8IN 8" F/4 imaging Newtonian optical tube, AT6RC, and AT8RC, "of the three scopes, I liked this one (the AT8RC) the best. Its advanced features beyond those of the six-inch RC - carbon-fiber tube, quartz optics, and dual mounting rails (Losmandy and Vixen-style dovetails) - were part of the reason. But it was how nicely this scope is matched to APS-C and 35-mm formats that really wowed me." Sky & Telescope concluded by saying, "Astro-Tech has done a great job of balancing performance and price on all three of these imaging telescopes. 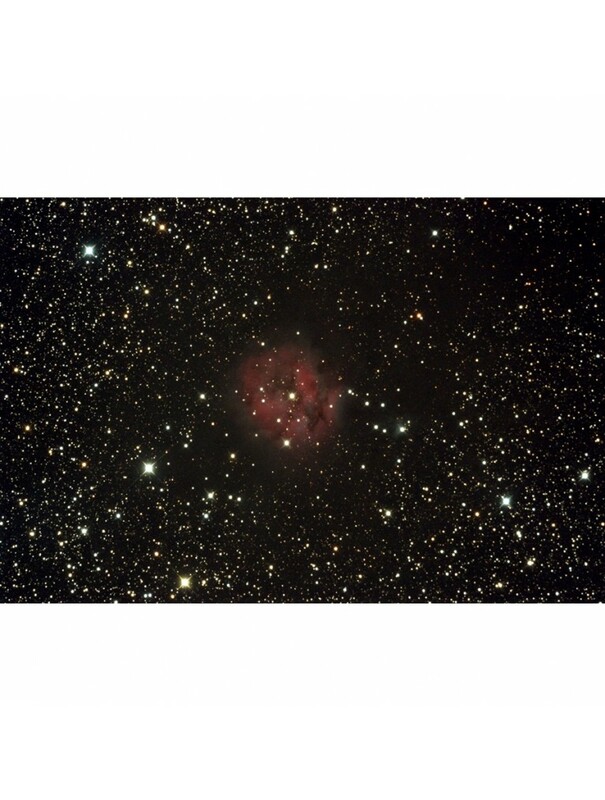 By optimizing them for use with the cameras that many beginning and intermediate-level astrophotographers are using, the company has created affordable instruments that can produce stunning images. 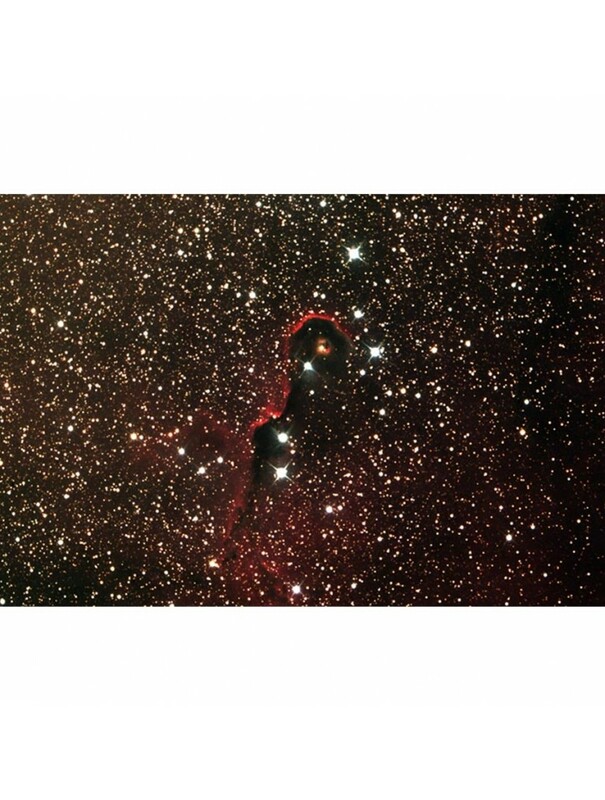 It's an exciting time to be entering the field of deep-sky astrophotography." Hyperboloid primary mirror: Made of low thermal expansion quartz, rather than the ordinary optical glass used by competitors. Ground and polished under precision computer control to diffraction-limited or better surface accuracy. Unlike catadioptric designs (SCTs, Maksutovs, etc.) that move the primary mirror fore and aft in the optical tube to focus (which can lead to image shift as the mirror position changes) the AT8RC primary mirror is fixed to eliminate both a catadioptric's image shift and the primary mirror collimation requirements of a Newtonian reflector. The December 2009 issue of Sky & Telescope said that the Astro-Tech R-Cs' fixed primary and secondary mirrors "eliminate image shift, which has been the bane of Cassegrain scopes with moving-mirror focusing systems . . . It also keeps the effective focal length of the system constant, and the infinity focal point remains at a fixed point outside of the telescope, neither of which is the case with moving-mirror systems that change the separation between a Cassegrain's primary and secondary mirrors." Carbon fiber optical tube: Made of light weight/high strength woven carbon fiber-reinforced composite material with extremely low thermal expansion characteristics to reduce the possibility of temperature-related focus changes that can occur with rolled steel tube systems during extreme temperature swings. Die-cast and machined aluminum front and rear cells. The 9" o.d. x 18" long carbon fiber tube is virtually indestructible. The use of a carbon fiber composite reduces the weight of the optical tube with no loss of strength or rigidity compared to a steel tube. Carbon fiber composites are so strong that the new $200,000,000 Boeing 787 Dreamliner passenger jet will use a wing and fuselage made almost entirely out of carbon fiber. Because of the use of a carbon fiber optical tube, the weight of this 8" R-C is only a little more than two pounds heavier than the steel tube 6" Astro-Tech R-C. 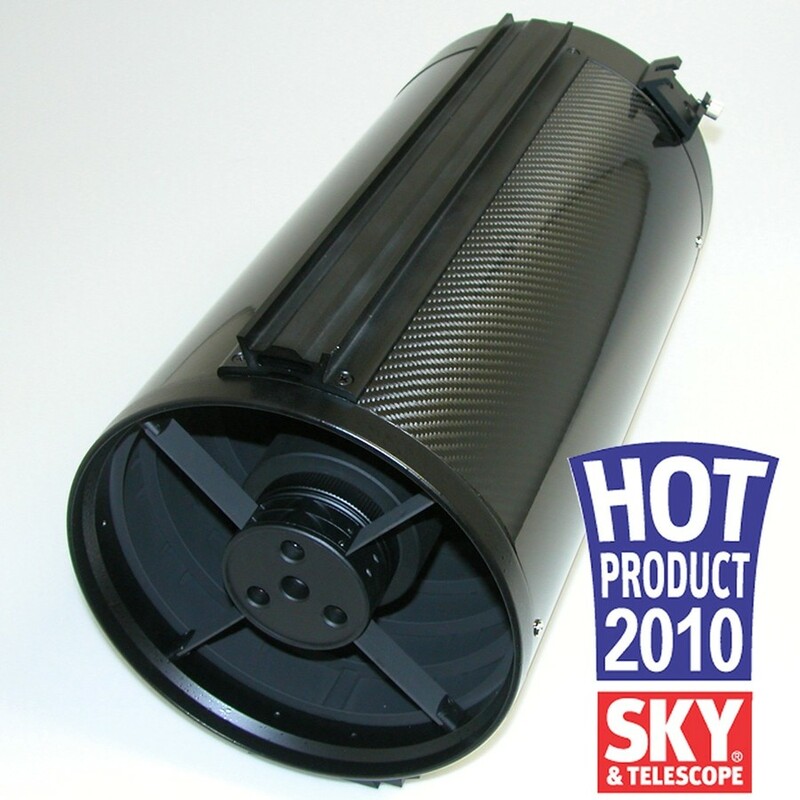 The December 2009 issue of Sky & Telescope said "the carbon-fiber tube did a good job of holding focus over the modest temperature changes occurring during my summer evenings. More telling, perhaps, was the scope's tendency to remain accurately focused after several days of inactivity during which the temperature in my backyard observatory would cycle over a huge range." The new bearing-less linear focuser has a polished stainless steel drive rail that runs the length of the drawtube, rather than having the stainless steel drive shaft simply press directly on (and wear) the aluminum drawtube as with conventional Crayford focusers. The drive rail rides in a self-lubricating track that extends most of the length of the focuser body. The drive rail and its attached drawtube are thereby supported over most of their length at all times, rather than by a conventional Crayford focuser's two sets of small contact area roller bearings. This system distributes the drive force evenly over the entire drawtube, without concentrating it on a few small contact points. 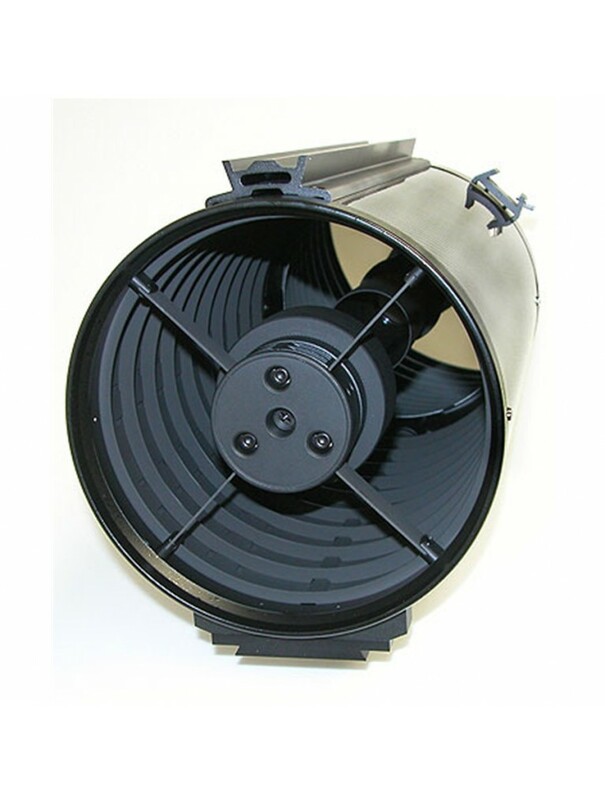 The result is less potential drawtube flexure and no wear (much less uneven wear) on the drawtube. 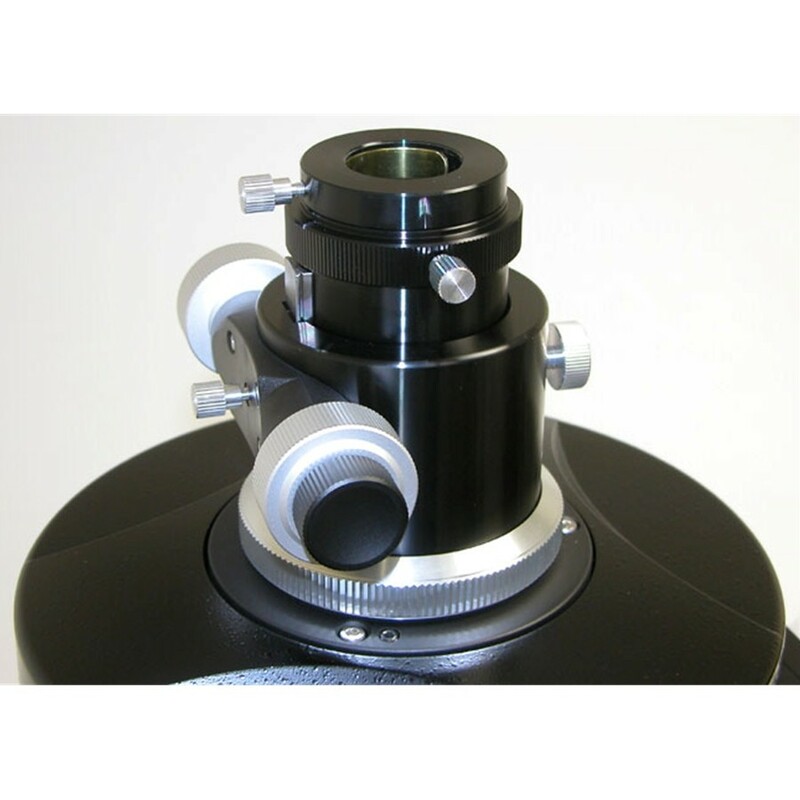 For exceptionally long and heavy imaging equipment trains, the standard Crayford focuser can be user-replaced by an optional 1.5" travel Feather Touch focuser from Starlight Instruments, #FT-1.5BC. This requires a 90mm x 1mm pitch rear cell thread to Feather Touch adapter, #M90X1. 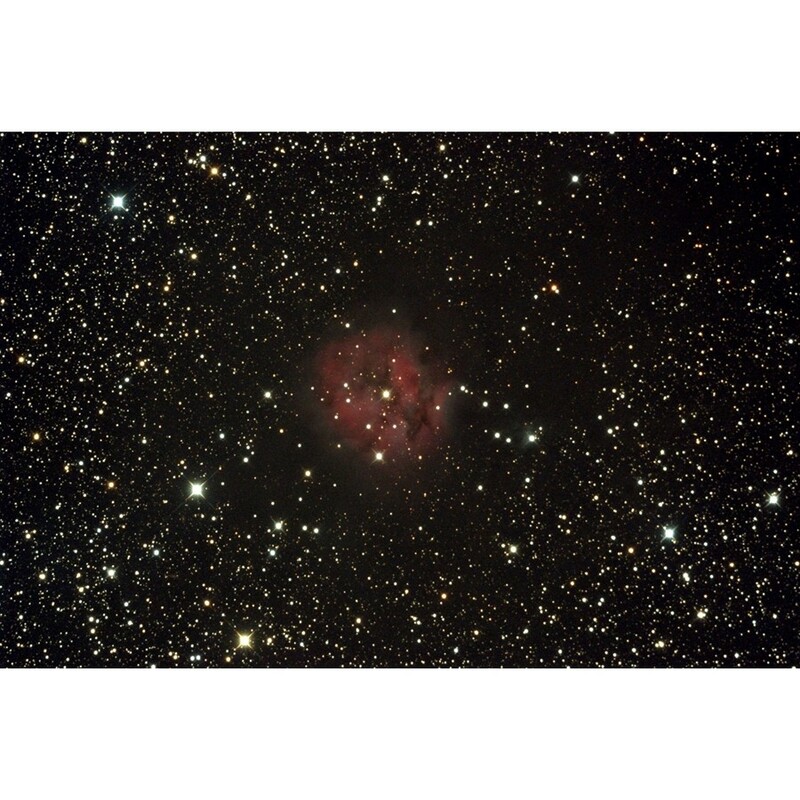 Optional MoonLite focusers from MoonLite Telescope Accessories can also be used. For even more impressive coma-free imaging with the AT8RC, consider adding the Astro-Tech AT2FF field flattener. While not specifically designed to work with Ritchey-Chrétien astrographs, images taken with the field flattener by Astro-Tech R-C owners have shown that the Astro-Tech 2" field flattener works remarkably well with these advanced coma-free reflectors as well as with refractors. 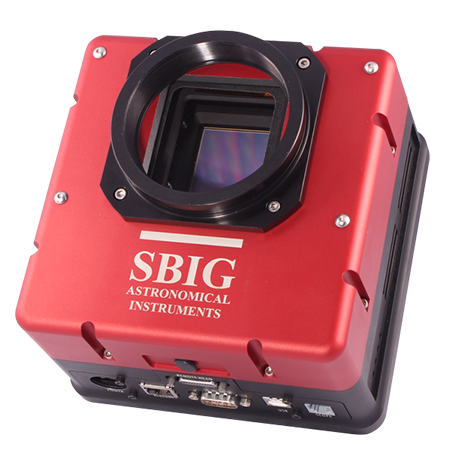 This modestly-priced imaging accessory essentially eliminates the residual field curvature inherent in all reflector telescope designs, so that the coma-free star images remain point-like all across the field. 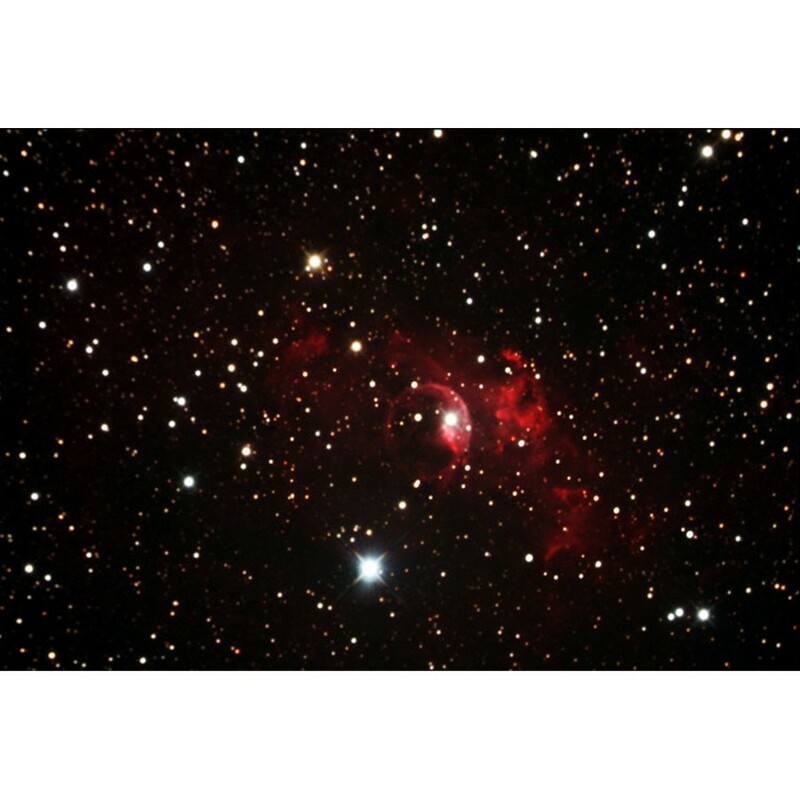 An optical analysis and ray tracing of the field flattener was done in ZEMAX and applied to the R-Cs by Roger Ceragioli, the noted optical designer who did the final optimization of the Astro-Tech Ritchey-Chrétien optics. 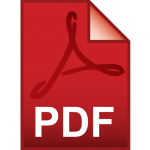 Here is what he had to say about the #AT2FF, "My conclusion, which seems supported by what users are saying, is that you don't need any other field flattener. 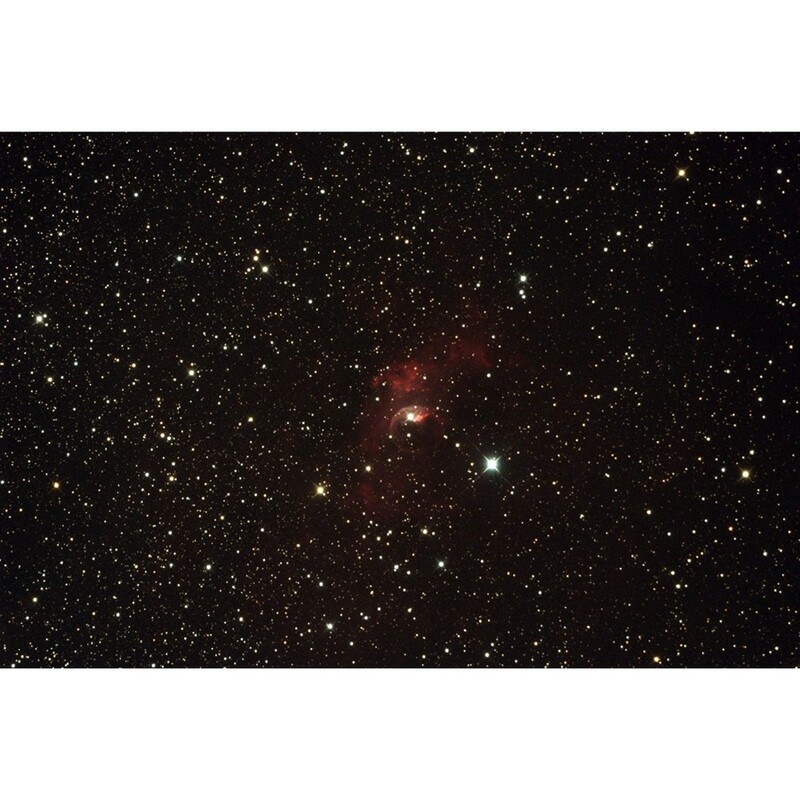 This one performs well over a 40mm image circle in all three small RCs (6", 8", and 10")." Two compression ring accessory holders: The focuser drawtube ends in a 2" accessory holder that uses a non-marring soft brass compression ring to hold 2" imaging accessories in place. The compression ring won't scratch the barrel of your accessories as an ordinary thumbscrew can. Also supplied is a 1.25" accessory holder that slips into the 2" compression ring holder to let you use 1.25" imaging accessories. 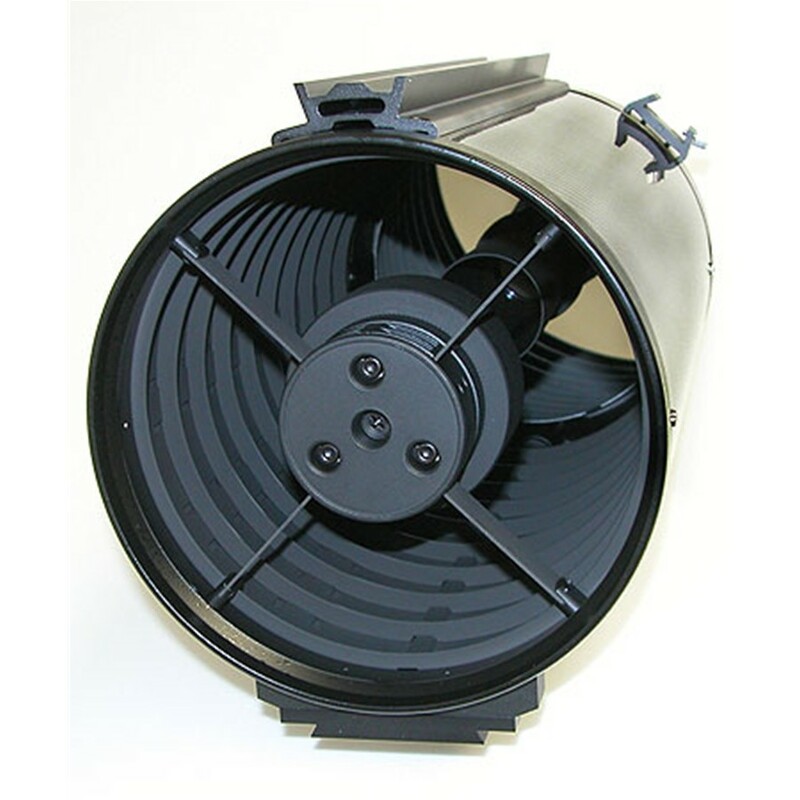 Like the 2" accessory holder on the drawtube, the 1.25" adapter also uses a non-marring soft brass compression ring. Two dovetail mounting rails: Two dovetail rails are provided for installing the AT8RC on an equatorial mount, as well as for mounting optional accessories (such as a photoguide scope) on top of the AT8RC. One is a Losmandy-style "D-plate" dovetail rail that runs the full length of the underside of the optical tube, for installing the AT8RC on a Losmandy-style equatorial mount. The second is a Vixen-style dovetail rail that runs the full length of the top of the tube. This can be used for installing a photoguide ring set, piggyback camera adapter, or any other accessory that attaches to a scope by means of Vixen-style dovetail adapters. If the AT8RC is rotated 180°, it will bring the Vixen-style rail to the bottom of the tube so it can be used to install the AT8RC on a Vixen-style equatorial mount. Competitors provide only one Vixen-style dovetail. Providing two dovetail rails on the Astro-Tech AT8RC does not limit your choice of mounts or accessory mounting options, as can happen with similar scopes provided with only one mounting rail. 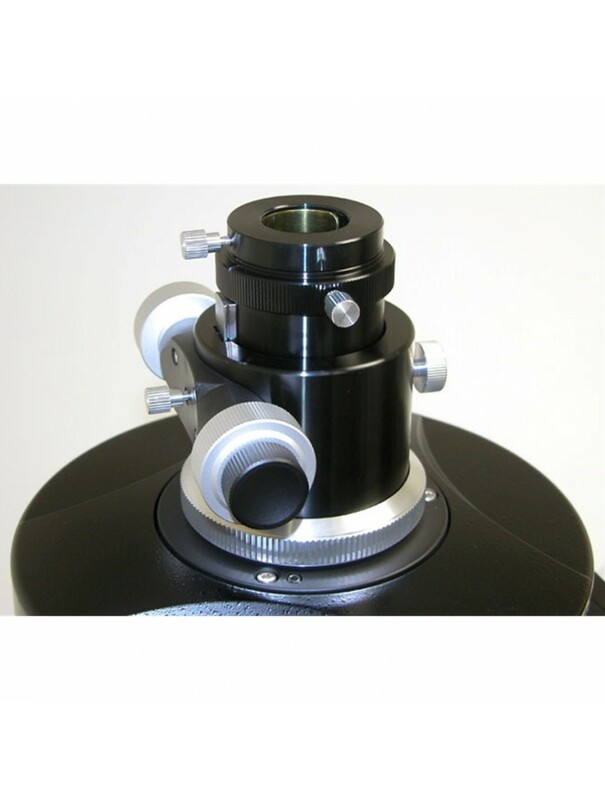 This is a decent scope which requires careful collimation. The factory GSO focuser is borderline unacceptable and is uncollimatable without an additional adapter. The design of the rear mirror cell can introduce mechanical flexure with heavier optical loads. I think GSO should provide a higher quality rack an pinion drive bolted or machined onto the linear rail, it would perform much better. I love my AT8RC, and it has become my go-to OTA, replacing an older Meade SCT I'd been using since the mid 90's. The construction is top notch, from the knife-edge baffles the the focuser and the included spacer rings. I love the lighter weight of the carbon fiber body, which makes it easier to take along when I'm not necessarily planning to use this larger scope on a given outing. Another nice side benefit is that the carbon fiber tube is just easier on the hands in the bitter cold versus a metal tube. when it's time to pack things up for the night. I usually use a QHY8L CCD with this OTA, along with the AT2FF flattener, and I've been very pleased with the results. I love the subtle star spikes the RC design creates, too. My HEQ6/Atlas mount has no trouble slewing this combo along with the entire imaging train, and I have no doubt the lighter weight makes for steady guiding. Great scope for the money. There are some issues buyers should know. Focuser I found to be inadequate I changed it out for moonlight. Like many people I found difficult to collimate, this is mostly due to a lack of an isolation flange in design. The primary mirror is attached to focuser and as such can never be "perfectly" collimated. The advise I got and follow is find good enough and go with it. I did buy a Howie gladder laser to assist. In the end I use the DSI method to collimate. This is a fairly long focal length and I recommend OAG not a second guide scope. 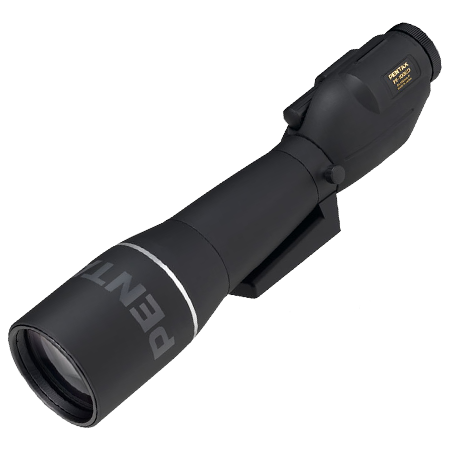 This little gem has great optics and allows you to pull out details in your photographs right down to the resolving power of the scope. It comes with a good 2-speed focuser and can be used instantly out of the box for stunning photos. I purchased one of these when they were first released and it has been the greatest scope I have ever owned. Apart from the AT66 which is a great little gem, nothing has impressed me as much as this AT8RC. I have this coupled to a modified Xsi via a moonlight focuser and a Televue reducer. I believe there is no better bang for the buck and even if you are not restricted by money, this is a great setup. The scope is rear heavy so I had to add some weight to the front to get it to balance on my CGE. I also found it very difficult to colimate. I purchased a high end Howie Glatter laser that has a circle projection for colimating. You should follow his directions as a RC takes very special care in aligning properly. In my opinion I should say. But once perfectly colimated, it seems to hold it very well and the defraction spikes are incredible with equal lengths and nice color bars. The AT8RC is my main imaging scope now for the past 2 years +. I have been thoroughly satisfied with it. First of all, the optics are first rate. When combined with the AT2FF Field Flattener, I get sharp, round stars to the corner using my Canon 1000D. The focuser holds the smaller Canon DSLR's just fine. Once focused, the lock is very secure. 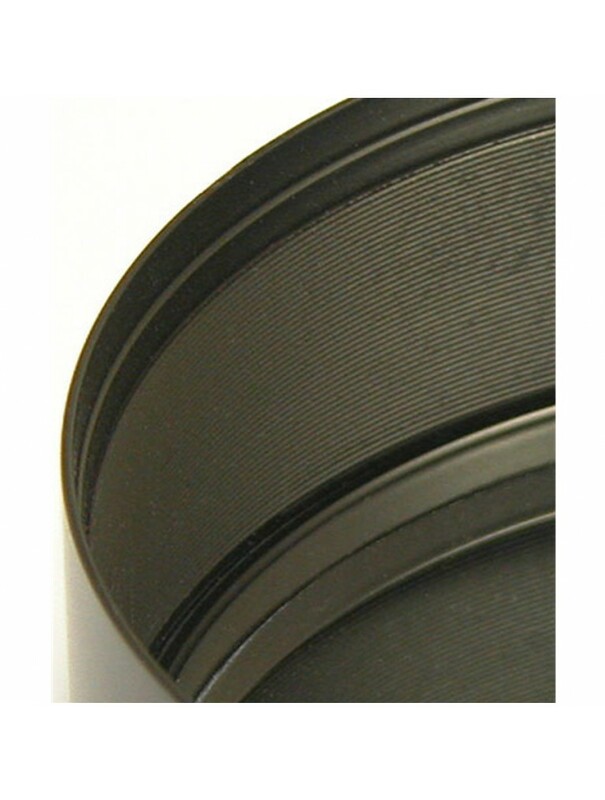 I have found that the threaded extension tubes used between the focuser and OTA do a much better job of eliminating flexure than those that are used in the eyepiece holder. They also allow for any camera/filter wheel combination to be focused. Using the Canon DSLR and AT2FF, I use the 2" extension. Collimation was not difficult at all. Thus far, the only adjustments I have had to make were regarding the secondary mirror when it first arrived. The scope holds collimation very well, though admittedly, I don't transport this scope very often as it spends most of it's time on the CGEM in the observatory. All in all, I think it is a well designed scope with nice optics and well though out mechanics. I see it staying in my scope line up for a very long time. A fellow club member recently acquired the 12" RC and it too is a very nice scope. Astro-Tech continues to impress me!